I photographed this scene one evening while walking on the Mercersburg Academy campus. The chapel steeple is a beautiful silhouette which added to the soft sky colors of orange, golden orange, red violet, blue and blue violet. If you look closely you can see a muted image of an angel head and wings in the upper left corner. 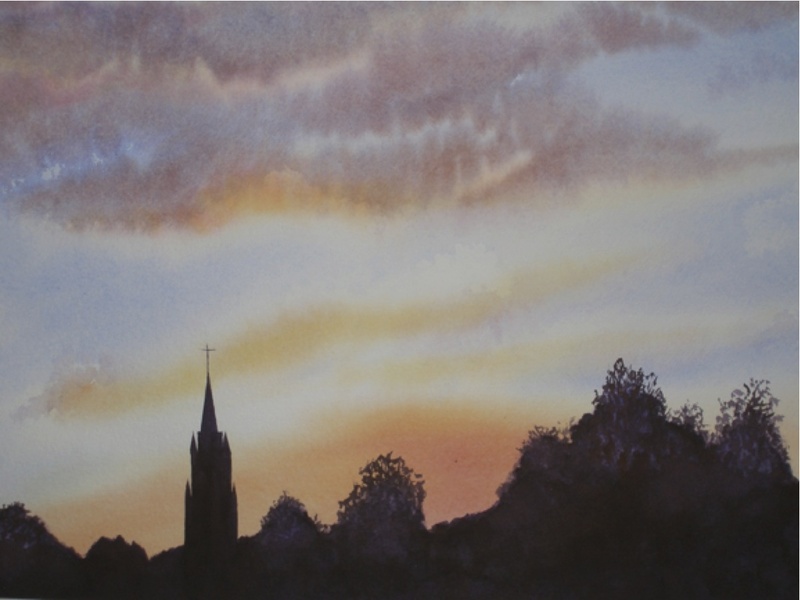 The silhouette of trees and buildings are painted in dark violet tones to balance out the color in the upper sky.